Hi,lm Kabore all the way from Ghana nd lm using BlackBerry z10.for some months now, ma battery runs faster and even when l charge,l cn only use it for an hour nd it's off. Plse help me other wise it really cool. I love it's functions. In South Africa greetings. 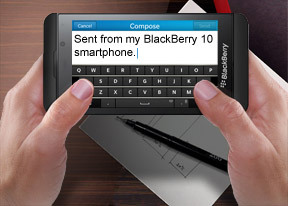 Since the Z10 was launched early 2013 I haven't seen the handset in many hands of my fellow citizens. Common reason linked to this is the fact that when the handset was launched it was too steeply priced. Only top ranked managers would afford to buy the handset,middle earners could only dream of owning the handset and the low income earners could totally not afford. Blackberry z10 was launched in the midst of serious competitors (iphone5,sony xperia z series,samsung galaxies) and so on. Therefore it was a bad time to have the handset launched at the time. Buyers who purchased the item were the Blackberry loyalists and the rich. The absence of Google applications within the applications from RIM Enterprise added some extra pressure of poor sales regarding the handset. The inclusion of Amazon App Application with the latest handsets (Blackberry Passport,Blackberry Classic and Z3) might attract more buyers to the Blackberries. Me personally would like to own a Z10 even though it has quickly lost fame. I have heared a lot of disastisfaction from the owners of the handset like (the battery cannot serve enough power as it is promised,it is too complicated to use,the Blackberry 10 devices are not BIS enabled) and so on. But what I like about this handset,is its uniqueness,smartly handcrafted,an IpHone owner feel envous when looking at the Z10 owner. The only let downs regarding this handset is the lack of Google goodies otherwise it is a great handset to own. Convenience and comfort is one feature I crave for in a phone but am not getting it from this BlackBerry Z10. I can't download movies neither song even opera mini. I can't buy a phone and be expected to buy a computer at the same time. My previous BB 9320 does better in downloading. Any remedy please? blackberry 10 OS.. and no inbuilt application don't know where all my application. Vanished since it is repaired so confused.. Please do let me know is it a common problem with z10 or anything went wrong with mine?? What about z10 battery back up please anybody owner of this cellphone reply to me. AnonD-248889, 02 May 2014BlackBerry z10 Great phone!! Excellent in Skype,very nice pix,audio,video quality.. emai... moreExcellent phone go ahead closing the eyes. Excellent in Skype,very nice pix,audio,video quality.. email, very fast for browsing Internet..
#greenbrains# , 31 Dec 2013The z10 wud be a much loved device if it supported skype and instagram.Hi..its work great in Skype!!! The z10 wud be a much loved device if it supported skype and instagram.